Cerevo today published updated firmware Rev.1.2.0 for “TACHIKOMA 1/8 scale Moving, Talking and Synchronizing” which contains new timer and alarm features. © 2002 Shirow Masamune ・ Production I.G/KODANSHA © Cerevo Inc.
1/8 Tachikoma previously had available a beta timer and alarm function, but it was not possible to confirm or delete the timer or alarm after it had been set. With the Rev.1.2.0 firmware update, you can now check and delete set timers and alarms from the companion application for no additional charge. 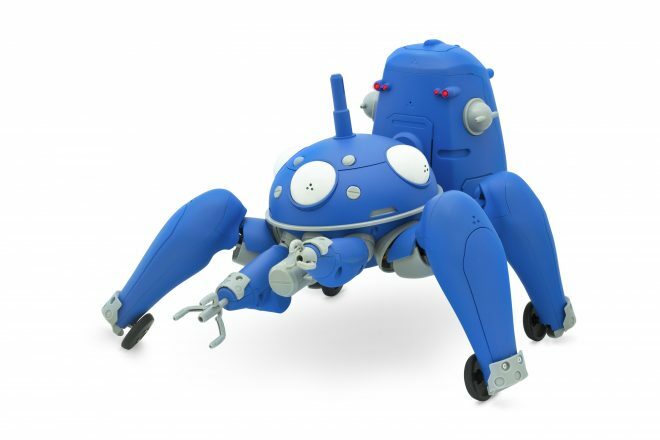 Now 1/8 TACHIKOMA can be purchased at the Official Cerevo Store and Amazon.com. Timers and Alarms can be confirmed in the “Timer Setting” menu in “Setting” mode, as shown above. Timers and alarms can be set by talking to Tachikoma as shown below. Tell me after 30 minutes (has passed). *Then TACHIKOMA would ask in Japanese what time you want him to set the timer and set it up. Set alarm for 9pm every morning. Wake me up at 8am tomorrow morning. *Then TACHIKOMA would ask in Japanese what time you want him to set the alarm and set it up. Confirmation and deletion of timers and alarms is possible from the “SETTINGS” menu in the app. *Please note that current language support for 1/8 Tachikoma is ONLY Japanese for output via the smartphone app or internal speaker. Tachikoma supports both Japanese and English input via the smartphone app or internal microphone. Cerevo Inc. (Consumer Electronic REVOlution) was founded in 2008 and is located in Tokyo, Japan with a branch office in Redmond, WA, USA. Cerevo is a small batch company focusing on making unique networked devices and connected solutions for both consumer and professional users based on its “Global Niche” concept. Cerevo’s products have been recognized globally and are sold in more than 60 countries.